Located in the East African nation of Tanzania, Ngorongoro Crater (pronounced just like it’s spelled, 😉 ) is one of the coolest places I’ve ever had the privilege to visit. Technically a caldera, the remnants of a collapsed volcano, the floor of Ngorongoro provides over 100 square miles of habitat surrounded by steep walls to more than 25,000 animals. The steepness of the surrounding 2,000 foot mountains acts as a natural enclosure for many of the animals, though some of the occupants are capable of migrating out during the dry season. The result is a series of inbred populations, including a resident population of larger-than-normal lions. 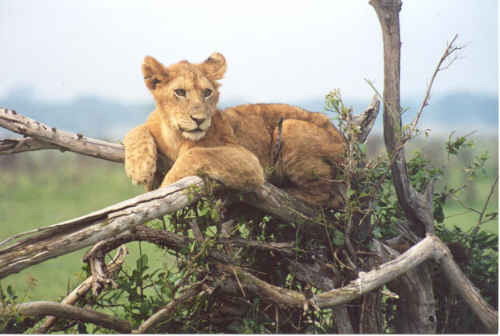 It is considered by many to be the densest population of lions in the world, made possible by the large supply of food. 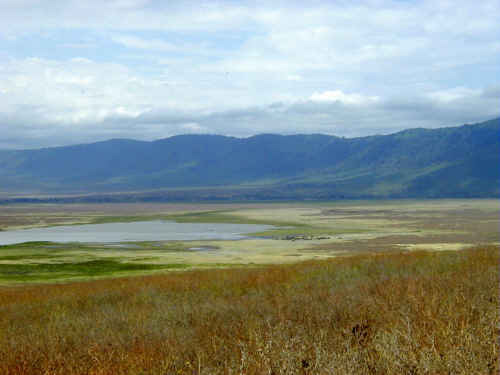 Ngorongoro crater is managed as part of the Ngorongoro Conservation Area, a UNESCO World Heritage Site that includes the famous Olduvai Gorge. Many of the resident animals are endangered, including black rhinos. Many local populations of other animals, such as cheetahs and wildebeeste have been severely depleted in the past few decades. This area is is also host to one of the world’s most unique ecotourism operations. Far from anything that could be described as a city, the crater is still a huge tourist attraction. A large hotel, complete with an animal-viewing telescope in every room, is built into the side of the caldera wall. Each morning, a small army of land rovers take tourists down 1,000 feet into the crater. Since 2001, conservation area managers have instituted a policy of controlled burns of the grassland. In addition, local Maasai herdsmen have had their access to grazing lands in the crater restricted, and non-subsistence agriculture is now banned. This appears to be helping some populations to rebound, but climate change (drying up limited water sources) and poaching of endangered species remain huge problems. 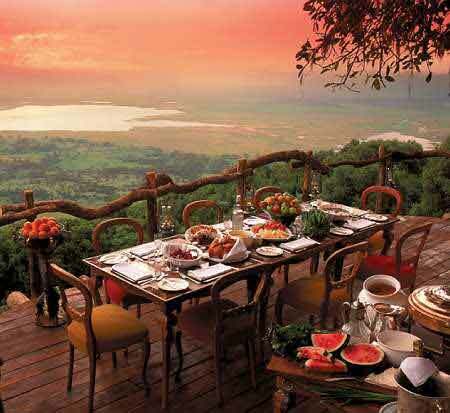 The significance of the region to local culture, human evolution, endangered species, and a growing ecotourism economy make me optimistic that the government will come up with a workable plan to save Ngorongoro Crater’s ecosystem.